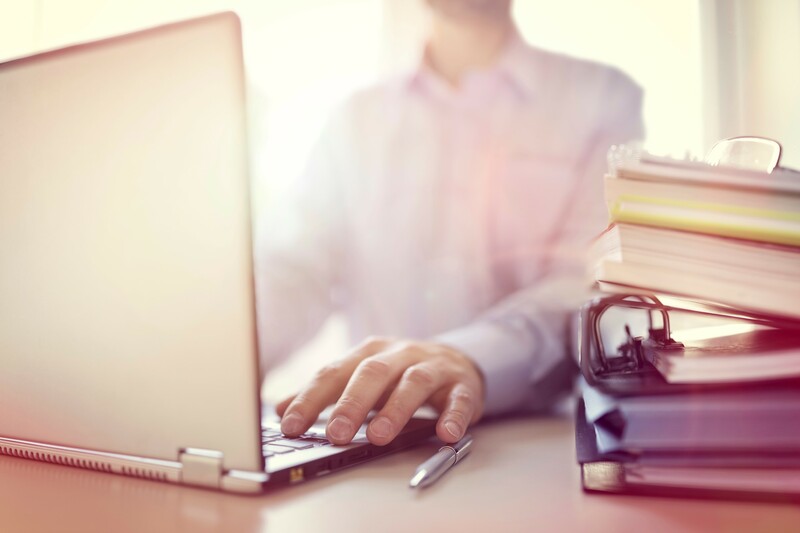 One of the main concerns of professionals thinking about enrolling in an online program is whether they will be able to handle their job and education simultaneously. On the face of it, it does not seem possible to balance all your responsibilities. However, with a little bit of effort, you might actually be able to create a work-study routine that is ideal for you. If you are working a full-time job, you will need to figure out the remaining number of hours you have that you can invest in your study schedule. These could be evening hours, weekend hours and even midnight hours. You are advised to take credit hours according to this time frame. You can’t do it all. So define your priorities, not only in general terms, but also try and determine where you want to focus your energies more for the time being. If you are more focused on your career and want a degree as an aid for career advancement, plan your study schedule around your work schedule. On the other hand, if getting a degree is your primary concern but you also want to work, then plan your work schedule around your study timetable. If your priority is your studies and you want a job just to support yourself financially for the time being, there are several ways you can go about it. First, apply to work-study positions. Many colleges and universities offer these opportunities with a financial aid aspect that goes directly towards your student expenses. If not a work-study position, you could always look for job opportunities within your department. A lot of universities employ several students to help with the administrative tasks. Make it a habit to create a weekly plan for yourself and ensure that you set time aside for studying every day. If you make the mistake of letting your studies pile up, you will be in a lot of trouble towards the year end or semester end. Create a study plan for yourself that adjusts your professional life, your education and personal life. A good way to go about it would be to get a calendar and write out what you need to accomplish on a daily basis. Once you finish a task, check it off the calendar. This way everything you have done and everything still pending would be easy to decipher. Tip: If you have other members in the household, it would be wise to keep your calendar posted in a place where everyone can see it. This way they can avoid making plans with you in time slots when you are not available. If you are working and studying at the same time, there might be several opportunities for you to apply in real life. Similarly there might be chances for you to use what you have learned in your job for an assignment or presentation in your course. Take full advantage of such opportunities. If you really want to accomplish the ideal balance between work and studies, you will need to become more efficient. The first order of business is to get organized. Keep your study and work routines in line. Make sure your work/study table is fully organized and you have fixed places for all your items of need. Getting a little organized in your overall lifestyle will ensure that you don’t end up wasting precious time looking for things buried under your clothes or hiding in some dark corner of your closet. This is a habit that will help you in both your work and study schedule. When you are given a task by your manager, quickly note it down somewhere to make sure you don’t forget. Similarly in class, take good notes. The idea is not to write literally everything down. Just make sure you note down the most important points covered in the lecture. Your notes should be jotted down in such a manner that revising them later should be a smooth and simple process. Part of having an efficient work-study routine requires you to have a specified place or places where you can go to get things done. This could be a particular corner in the house, a study table or a work station. It could even be odd places like the attic, the front lawn or the nearest coffee shop. Avoid places with lots of distractions such as the TV, loud noises etc. If you study or work better with music, try and choose music without lyrics to help you focus better. In addition to letting your friend and family know about your schedule, it is important that you keep your managers in the loop as well. For instance, if you have exams coming up, you might need a few days off or early offs. Make sure your manager is informed of this well in time. Similarly if you have to miss class for something important at work, let your teachers know beforehand and cover up as soon as possible. A major factor in doing your work along with studying is your health. Find a balance that allows you enough time to maintain your health as well. Make exercising part of your routine, even if it is for just 30 minutes. Get plenty of rest and make sure you sleep at least seven to eight hours a day. If you find yourself really tired and sleepy all throughout the week, then it means you need to change your routine. Catching up on your sleep on the weekends is not the ideal answer. Make sure you take proper meals every day. One of the major traps of a busy routine is eating grab and go meals that may seem like the quickest option, but are actually quite unhealthy. Instead of going for fast food chains, you would be better off hitting a grocery store and grabbing a pre-made salad. Not only will it be a healthy treat for you, but it will also serve as an energy booster when needed. Balancing your job with studies might seem like a very daunting task at first, but if you plan it well, you can easily stay on top of matters. Keep these few pointers in mind and you will be all set to take on the double load.